Today, guest blogger Kendra Higgins of Holiday Inn of Grand Haven & Spring Lake shares some of her past experiences & future excitement for the Grand Haven Salmon Festival! How long have you been involved in Salmon Festival? I’ve been involved with Salmon Festival for three years and part of the planning committee for the KidZone for two. 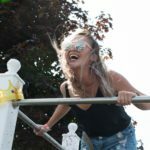 What is your role at the Salmon Festival? My role is everything KidZone. The Holiday Inn Spring Lake has sponsored the KidZone for the past five years, and since joining the committee last year I’ve been coordinating all of the local non-profit vendors to provide environmental hands-on activities. The people. 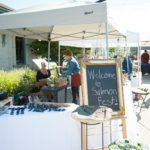 The Salmon Festival is not only unique to the area, but is also hosted during an exceptional time of year – September. Summer has come to an end, locals have returned to inhabiting their favorite shops and whole heartedly supporting area events and festivals. Those who attend, volunteer and sponsor are genuine, all around good people looking to have a great time. 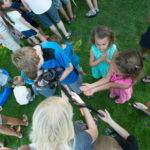 And how can you not smile at the pure joy from kids showing off their favorite animal face painting or exploring the fish pond put on by the White River Steelheaders. It’s the people and moments they create that have become my favorite part and what makes the Salmon Festival a success year after year! 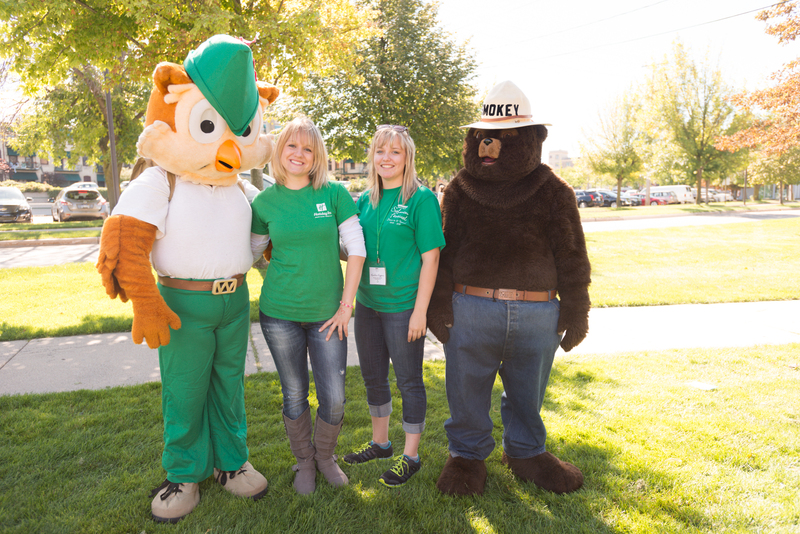 Last year was the first year Woodsy the Owl made an appearance at the festival, alongside Smokey the Bear of course! The owl costume was a little smaller in size than anticipated making the dressing more of a work out than anything. It was a frustrating and sweaty process but looking back on pictures we laugh just as hard as the day it happened. I’m very thankful the volunteers put up with the struggle, and I’m sure the uncomfortable pacing and high fives. We promised this year to be a little more prepared and accommodating. What are you most looking forward to for this year’s event? Working behind the scenes on the event the anticipation builds as we strive to produce a well-attended and enjoyed event. This year in the KidZone specifically, I’m really looking forward to the possibility of Ranger Rick making an appearance! The characters have become a facet that is expected by annual attendees, and adored by everyone. Fingers crossed Smokey the Bear and Woodsy the Owl will be joined by Ranger Rick this year! If someone could only attend one sub-event, what would be the one they can’t miss? I’d have to say the Art Fair – it’s sometimes over looked or something people pass through on their way to the cook-off, but there are some amazing local artists that deserve your full attention and best of all it’s another portion of the event that’s free to attend! Bio: Kendra Higgins, Director of Marketing and Social Media for Holiday Inn Spring Lake. 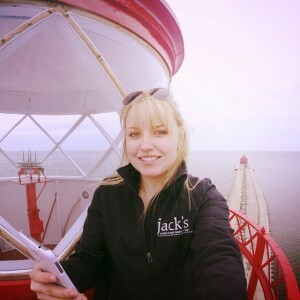 Sprouting from Mid-Michigan farm country, Kendra has a new found love and appreciation for Michigan’s golden coast as an active community member and newly fashioned lighthouse enthusiast. She encourages you to visit the Grand Haven area and follow the hotel on their Facebook, Instagram, and Blog.